As an architect in Florida, before you can design and plan the next commercial skyscraper in downtown Tampa or the next high-rise apartment complex, you must obtain and maintain a Florida architect’s license. The Board of Architecture and Interior Design is the entity responsible for issuing licenses to architects in the State of Florida. The Board also ensures licensed architects complete continuing education and training so as to remain proficient in their craft and investigates complaints filed by other members of the profession and/or the public against licensed architects. When the Board’s actions are threatening your ability to obtain or maintain your Florida architect’s license, the Tampa architect license lawyers at the Law Offices of David P. Rankin, P.A. can help. In Florida, an architect’s license is required in order to design certain commercial or residential structures. While not all structures require an architect’s license in order to design, failing to have a valid license when preparing and submitting plans for structures for which a license is required is a serious matter than can result in disciplinary action and/or sanctions. Responding to disciplinary complaints filed with the Board and against the architect. The Law Offices of David P. Rankin, P.A. is committed to a swift and efficient resolution of your licensing or disciplinary dispute. Your matter is unique and deserves a tailor-made approach that is designed to address your concern in as expeditious of a manner as possible. Where your licensing or disciplinary matter can be resolved using information resolution methods, David P. Rankin will utilize these channels in order to help you get back to work as quickly as possible. 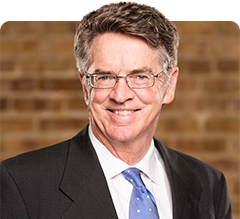 Where formal litigation of a disciplinary complaint is necessary, David P. Rankin will draw upon his 30 years of experience to argue your case with passion and power. In a professional field such as architecture, your license is your livelihood: if you do not have a valid architect’s license, your ability to engage in any sort of building design and/or construction activities is severely limited. The Law Offices of David P. Rankin, P.A. knows this and is committed to helping Florida architects continue their work without the disruptions and distractions that licensing issues and disciplinary actions can cause. When you retain our services, we will quickly identify the nature of your licensing or disciplinary issue and work with you to formulate a plan of action to help you resolve your matter quickly and successfully. Contact the Law Offices of David P. Rankin, P.A. today by calling (813) 968-6633, or contact our firm online to speak with one of our Tampa architect licensing lawyers.